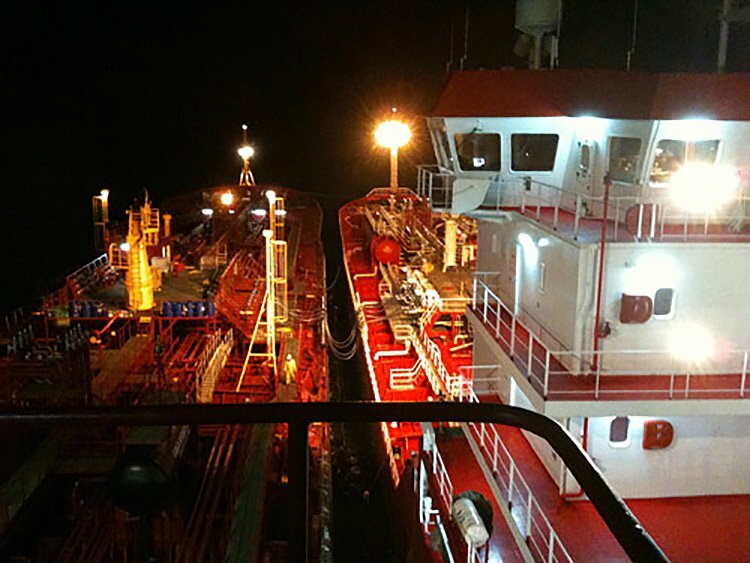 JMS was contracted to provide salvage engineering services in response to a chemical tanker grounding off Jamaica in July 2009. 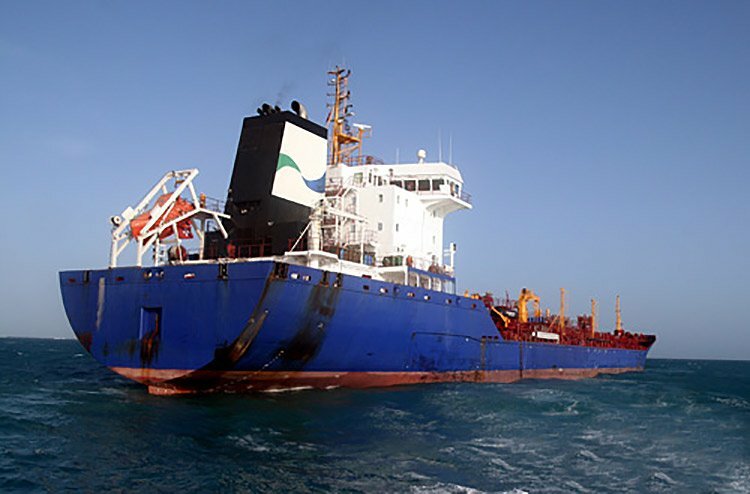 The 164m x 23m x 9.55m chemical tanker was laden with approximately 16,500 tons of ethanol and was outbound from the port when it ran aground on a coral reef formation. The vessel was built in 2007 and much emphasis was placed on ensuring the quality of the food grade and highly valuable cargo, complicating the salvage effort. JMS personal were called to mobilize to the site on the evening of the grounding. 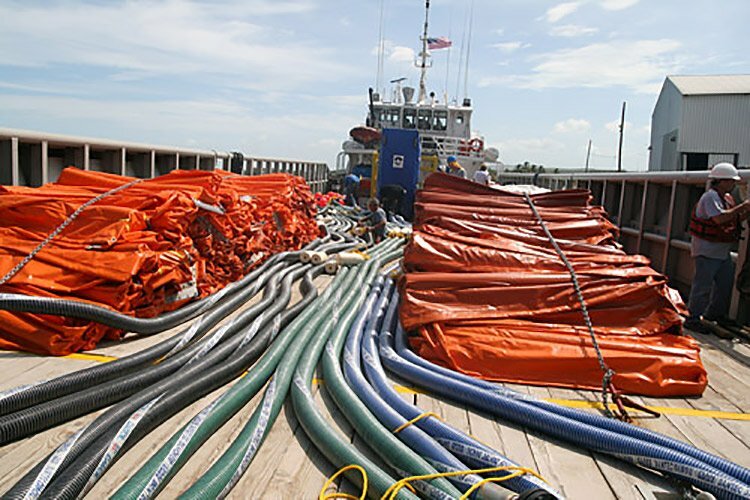 JMS provided initial salvage response services and salvage planning support from shore side and aboard the casualty for the duration of the two week salvage effort. The vessel was aground throughout the amidships region with her bow and stern overhanging the shallow reef. Due to weather conditions at the site, 15-20 knots of wind gusting 35 with 5 to 8 foot seas, the vessel was ballasted down on the reef to prevent unintentional shifting and pounding. A sounding survey was performed and tank conditions investigated and the ground reaction was determined to be approximately 4,800 tons. As a result, lightering operations were planned in order to safely remove the vessel from the reef, with minimal impact to the local marine environment as well as the casualty. JMS aided the Salvage Master and salvage response team in developing a lightering procedure. The lightering procedure consisted of determining what cargo tanks would be offloaded, sequencing and cargo tank transfer rates, as well as the counter-ballasting sequence. This was determined in conjunction with the limitations of the lightering operation, which were lightering flow rate, sequencing of cargo lightering and rate of counter ballasting. The crew of the chemical tanker provided insight in how this might best be achieved and the salvage team worked closely with the officers of the vessel to ensure the safety and effectiveness of the operation. A 119m x 17m x 6.4m , 2007-built chemical tanker was used for a lightering vessel. It was determined that 4,600 tons of ethanol would need to be offloaded from the casualty to the lightering vessel while simultaneously counter-ballasting the casualty to maintain a stable, grounded condition. JMS supported the Salvage Master in the development of a re-floating sequence taking into consideration the lightered condition of the casualty in its counter-ballasted state, environmental forces and the desired path of extrication to minimize damage to the coral. The re-floating sequence consisted of determining the order in which the ballast water tanks would be pumped to minimize hull stresses, ground reaction forces and correct for vessel trim and list. These efforts were coordinated with the Salvage Master and Team who utilized a tugboat to hold the bow of the casualty into the prevailing weather. This was done to prevent the casualty from pivoting on the reef during refloating and for the tugboat at the stern of the casualty to pull the casualty astern along the planned extrication route, back into the deeper water astern, as was surveyed prior to the lightering operation. Upon completion of the lightering and counter-ballasting operation, the hoses were disconnected and stowed, the lightering vessel cleared of the casualty and preparations were made for its refloating. De-ballasting commenced and the casualty was subsequently refloated and free of the reef. and Veteran-Owned Small Business since 1988.